Allrig makes a geomatrically compatible system with the “NS 400 jacking system®” which was originally built by National Supply Company. This system is known as the “Allrig 400 series jacking system.” With exlusion of the motor and the electric brake, we manufacture the entire system in-house. The decades-long heritage of each of Allrig's divisions means that we can call on unrivalled, multigenerational experience with- and knowledge about a great variety of jacking sysems and all related equipment. 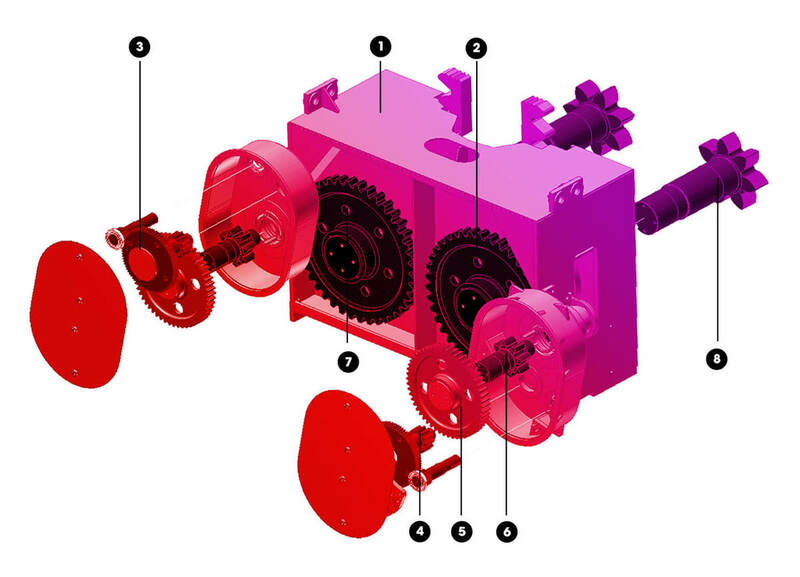 Allrig manufactures a series of jacking systems, which are geomatrically compatible with a specific OEM system. Allrig's jacking system expert Mark Bunn explains more about each of those systems. The “400” Series system is ABS certified to 60,000 rack feet of life with use of proper lubricants. The “400” Series is completely interchangeable with competitive systems and is in service throughout the world. Provision of additional pinion rounds is available for both floating and fixed systems. Are you looking for a smart partner? Or would you like to receive more information or technical data about the 400 series jacking system? Please contact the nearest Allrig location or send an email to sales@allriggroup.com and find out what we can do for you.